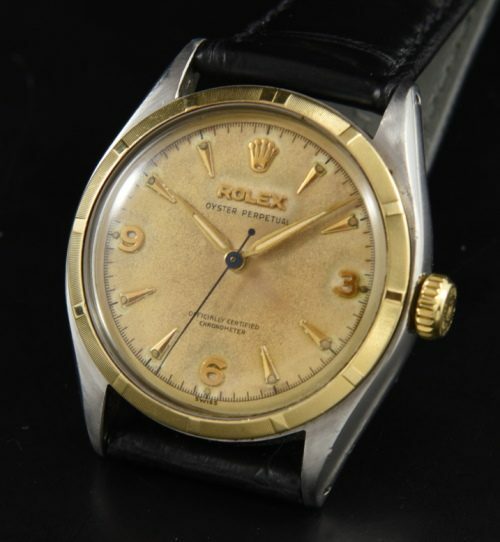 This is an original example of a 1951 ROLEX semi-bubbleback ref. 6085 in a steel 34mm. 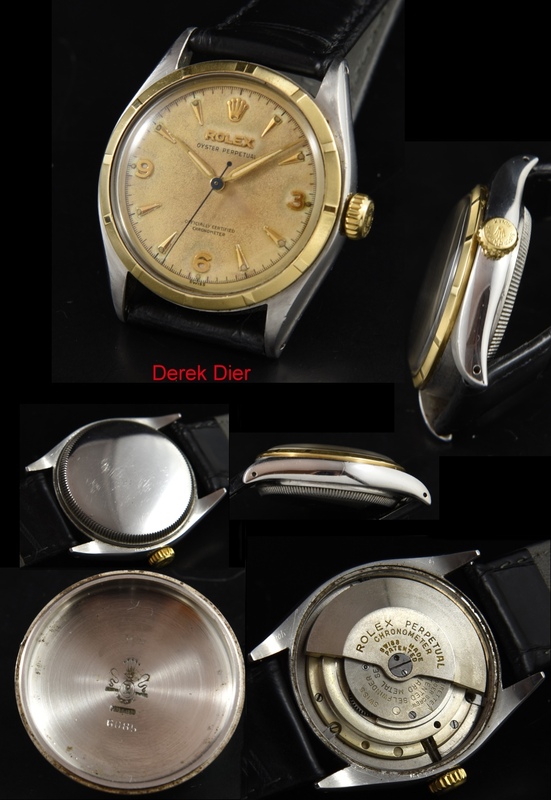 Rolex Oyster case with solid gold engine bezel and rare super Oyster crown (non-screw-down crown) which was only used 1951-52. The Rolex bubbleback automatic winding movement was just cleaned and is accurate after a recent meticulous cleaning by our Rolex trained watchmaker. The original “Explorer” style dial with very attractive patina and original Dauphine hands really will draw eyes to your wrist. Notice the original blued steel sweep seconds. Many dealers are calling these “Explorers” and selling these watches for well over $5000. Certainly, this model was a pre-Explorer experiment, and the EXPLORER hit the market just afterwards; making this an important ROLEX in their lineage.